I'm a petite little girl, as you can notice from photos in the previous posts. This however has become mummy's concern. She always comes out with various dishes, cooks with different styles, makes meal time enjoyable, in hope to put an extra spoon of food into my mouth. Recently I'm started on formula milk on top of my regular meals and I love the taste of it! This morning mummy brought me to visit a community nurse and had some discussion with her. I was weighed, not surprisingly my weight remains static. 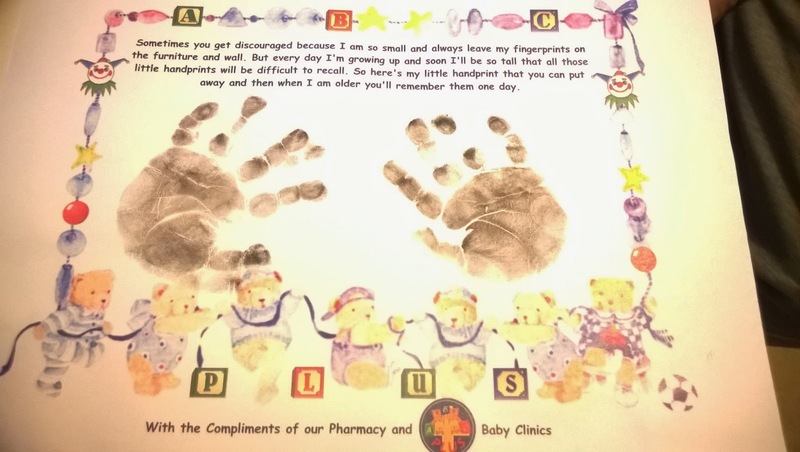 After that I had the opportunity to do some handprints on a certificate and on a mother's day card. Yeah! This is the certificate that I've made. I love you mummy and you are the best mummy in the whole world. Don't worry, I will grow in no time!